The Sims, as you know, you can control your imaginary world, right? And our movie, a young man, a 16 year old kid or a 14 year old kid and his friend get their hands on this thing called the Sims Infinity Pack, right, which kind of this very strange video game store which was there just for that moment, and seemingly wasn’t all that. But what they realize is that they can scan their world in, because this is the most life like, real Sims game ever. And as they are playing this they are all of a sudden realizing is what they are playing on the game is having an effect on the real world. So in effect, through the game, they are able to control their world. It’s wish fulfillment, and obviously it turns against them. So, basically WarGames meets Gremlins. 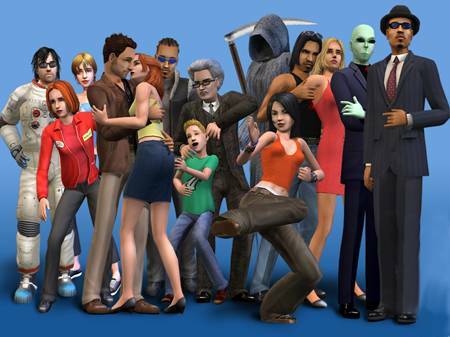 What are you more excited about: The Sims: The Movie ot The Sims 3 game? You can read Davis’ full interview, including updates on the Jason And The Argonauts remake, Alien Vs Predator 3 and Predator 3 here. This entry was posted in American Films, Video Game Movies and tagged Alien Vs Predator 3, Gremlins, Jason And The Argonauts, John Davis, Predator 3, The Sims, The Sims 3, The Sims: The Movie, WarGames by Mr Hollywood. Bookmark the permalink.